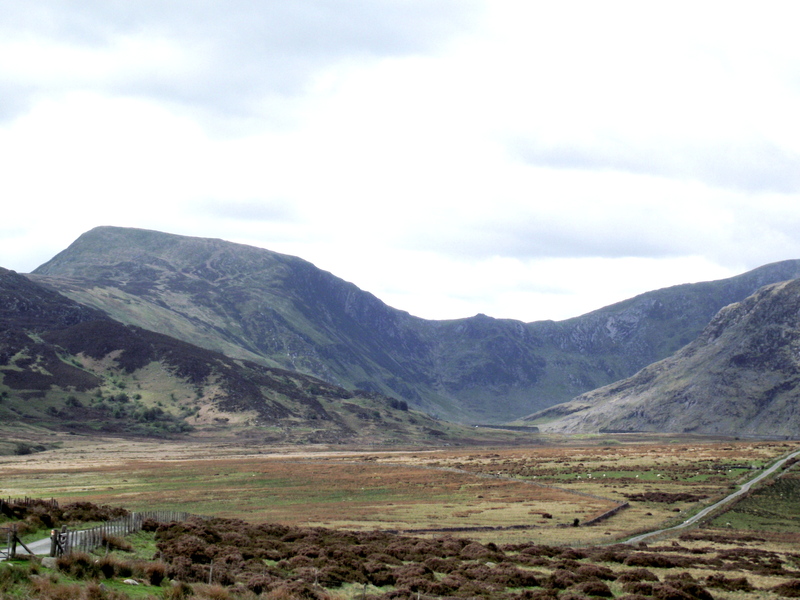 The hills and mountains of the Carneddau of North Wales don’t have the ‘wow’ factor of the Snowdon Range or the Glyderau, but for lovers of solitude and connoisseurs of wild places these hills beat the pants off anything south of the Scottish Highlands. I had a couple of gaps to fill in my knowledge base of these lovely hills, but Chris and I were both showing signs of coming down with a cold bug – an easy day was called for, but easy days are not easy to find in this wild group of hills. 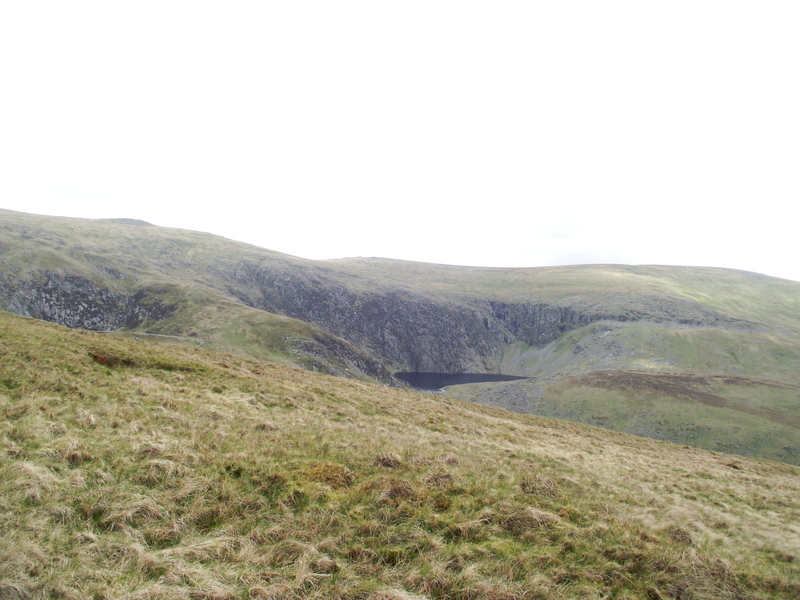 I finally decided on a linear ‘there and back’ route up Foel Grach from the end of the road to the lake of Llyn Eigiau. 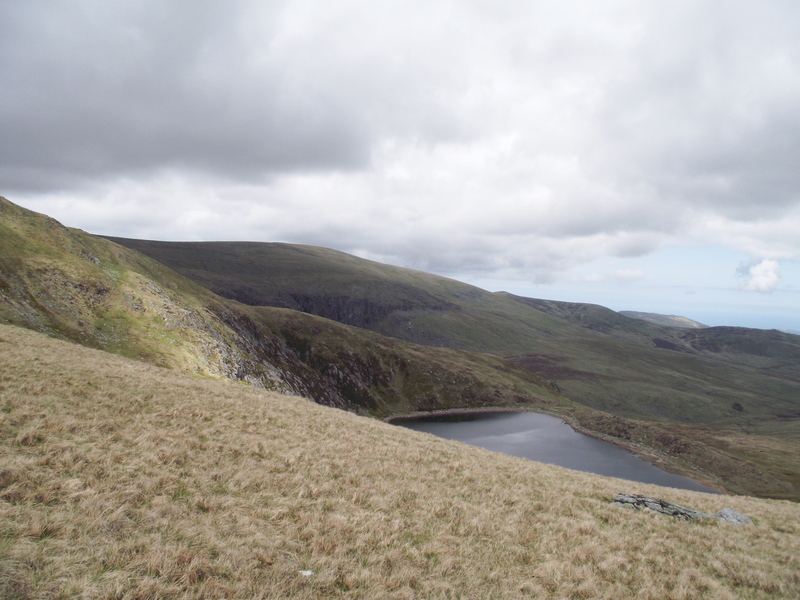 Foel Grach is hardly a pushover, and at 976 metres it’s the 8th highest peak in Wales – however, the car park is at about 376 metres giving a height gain of only 600 metres. With 6 kms each way, it looked like ticking the boxes for an easy day. 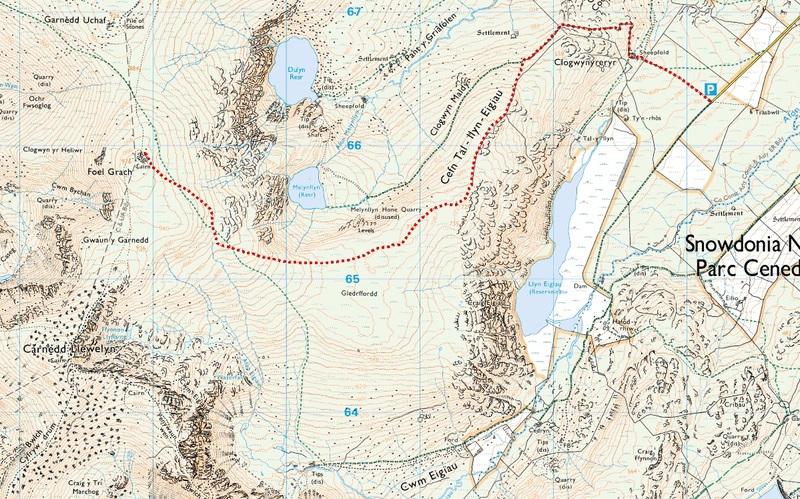 The route starts on an easy track …. Our route started by following an easy track. 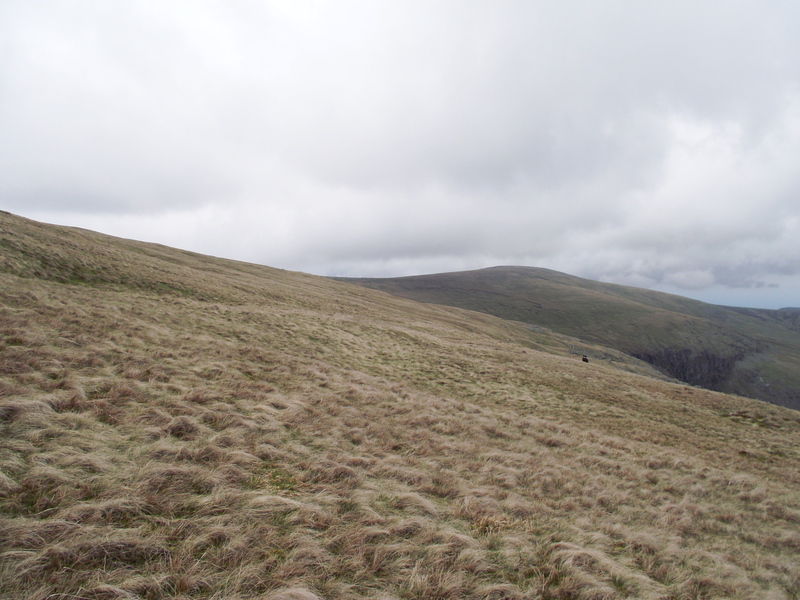 We left this to follow the broad ridge of Cefn Tal Llyn Eigiau, leading to a broad plateau at Gledrffordd. 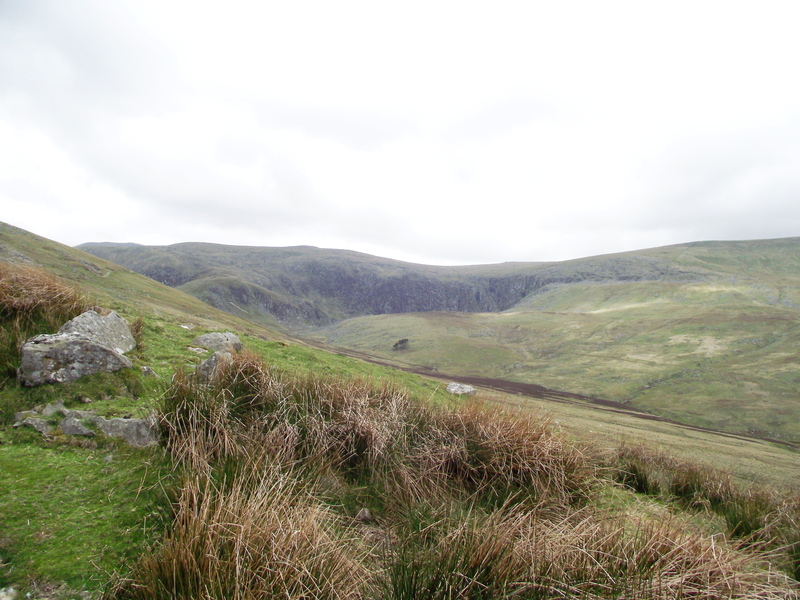 The ridge has a fence that makes a useful navigation handrail, but beyond there the route becomes more typical of the Carneddau, with few features of note. What it does have is a feeling of being in wide, open spaces. 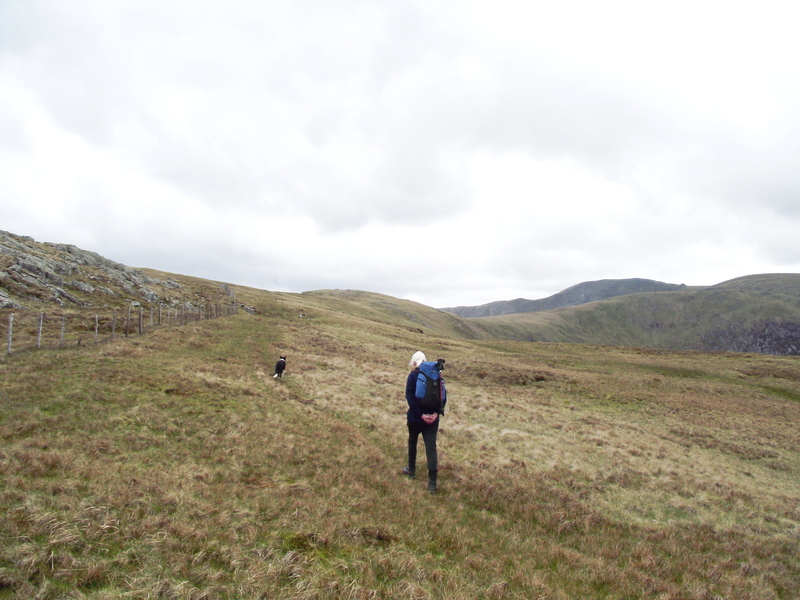 It was a steady and undemanding route to follow, and with clear weather conditions the navigation was easy. In mist or bad weather the picture would have been entirely different, and these hills are not the place to start learning navigation skills. 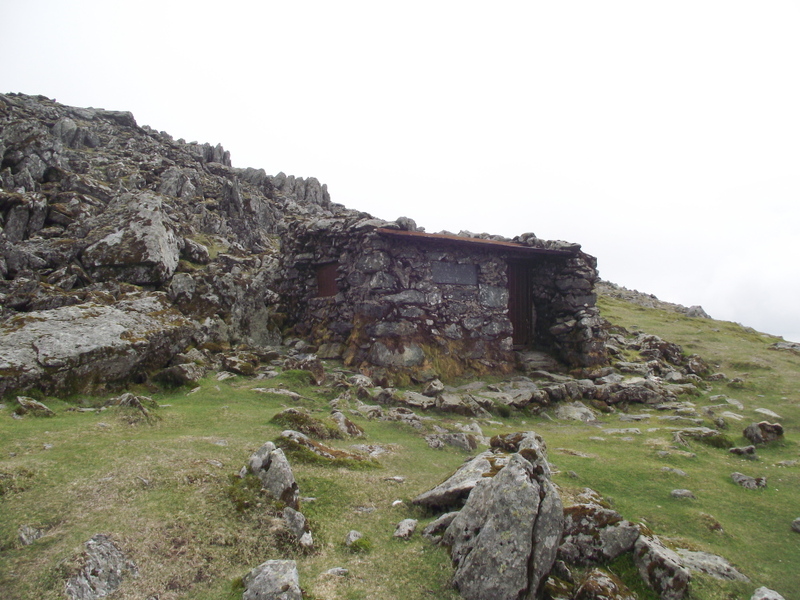 In fact, the hills are so demanding in bad weather that it was felt necessary to build a shelter just below the summit. The hut is designated as just that, a shelter for emergency use only. 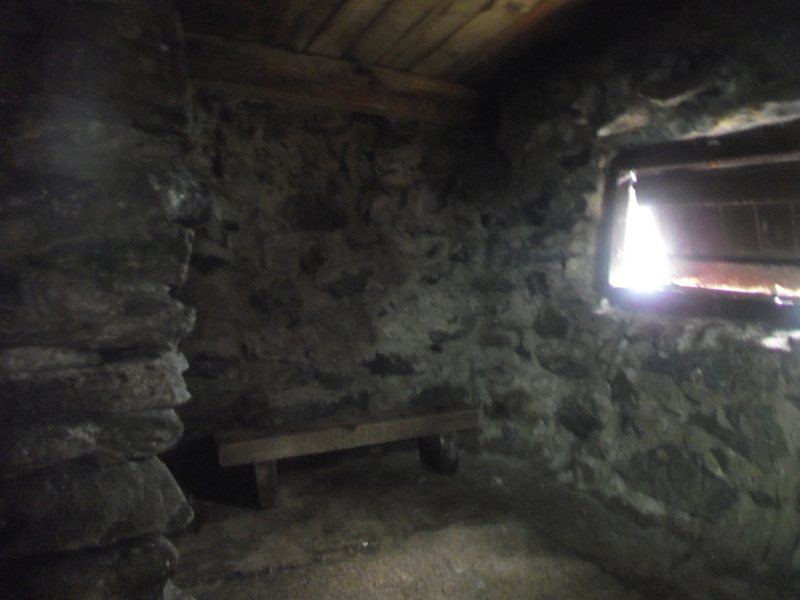 It lacks even the most basic amenities you would find in a bothy, but it has undoubtedly saved lives in bad weather. 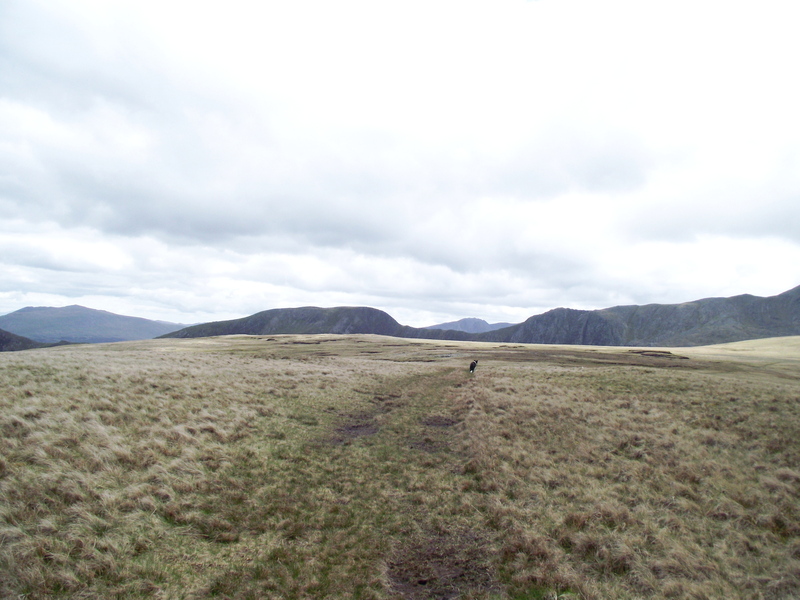 It certainly doesn’t intrude or dominate, and if heading north towards Garnedd Uchaf from Carnedd Llewelyn it’s easy to miss it, as I did the first time I came up here. There were swirls of mist crossing the higher tops, including ours, so we didn’t linger too long. A steady descent by our outward route took us back easily to the waiting car. I realised afterwards that in following this route I had made my only mistake of the day – in looking for a nice easy option I had overlooked a slightly longer (but no more demanding) return via Cwm Eigiau, This would have added only 2 kms distance and about an 30 minutes walking, with more dramatic views. Ah well, there’s always next time. The way we should have returned! p.s. The cold bugs that prompted an easy day out are still with us a month later …. This entry was posted in 5. 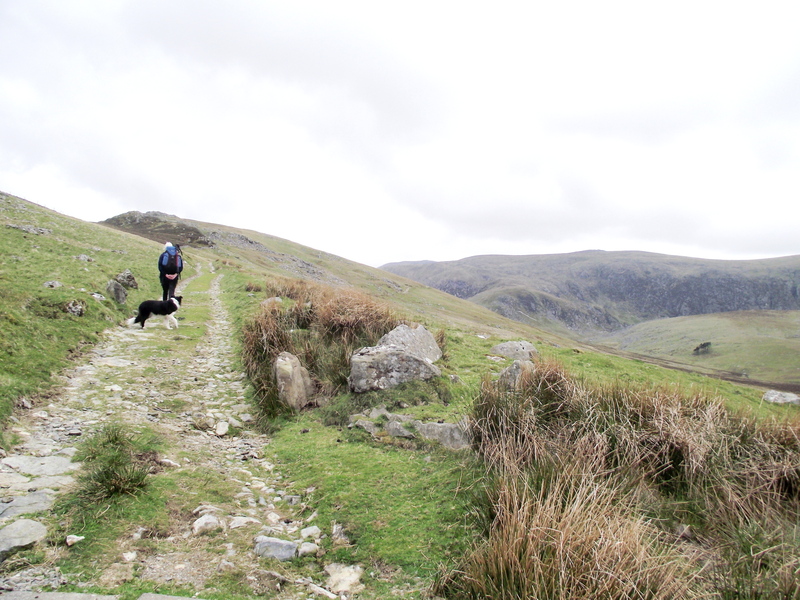 North Wales, Bothy days, Uncategorized and tagged Carneddau, hillwalking, mountains, photography, Snowdonia. Bookmark the permalink. Beautiful imagery Paul! 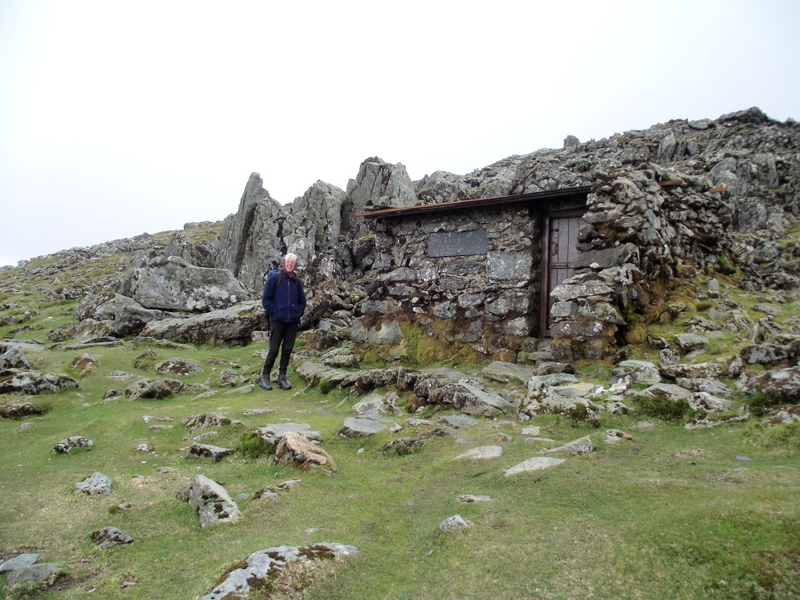 I particularly like the shelter at Foel Grach, which blends in perfectly with its surroundings. The shelter is a sure sign that not all days are as perfect as this one! Thanks for that Franz – the British hills can often combine all four seasons in one day, thanks to our maritime climate. A rough day up there can get pretty gnarly! 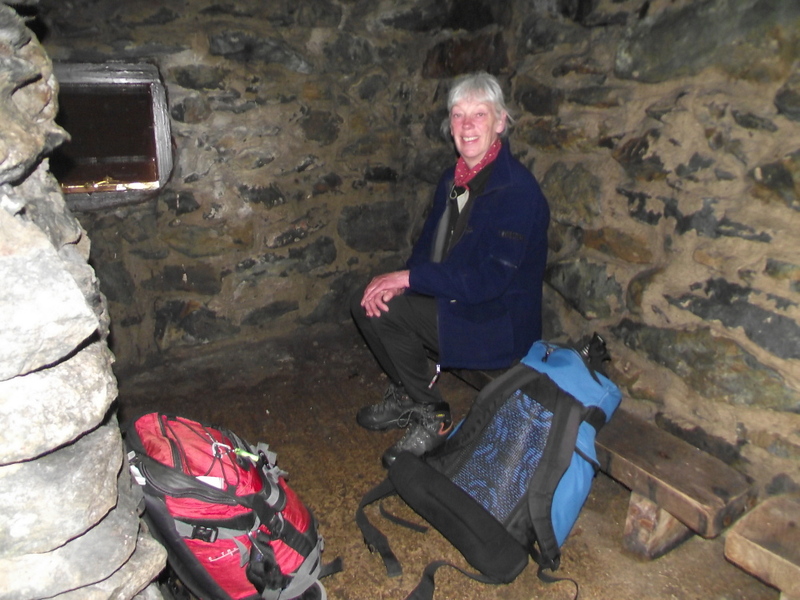 Not sure whether I’ve done that or not without getting my maps out at home… Never seen that shelter before though. That high road looks like it might be one of the ones I’d chicken out of driving up as I find some of the Welsh roads pretty scary. The shelter is easy to find if you know where to look – it’s at the very northern end of the summit rocks, but if you’re walking north you would have to look behind you to see it – it blends in very well with the other rocks. The road is OK from the point of view of technicality (no huge drops or silly bends) but it’s very narrow with few passing places, in fact like most of the high approach roads in North Wales – it’s a good job that these hills aren’t more popular or well known. Don’t worry Paul. I live in the borders and there is nothing around here to match Carneddau for distance from a road with the peacefulness that comes with it. I have a great fondness for those hills. We recently went up to the Caingorms. Now that is wildness and space. Once you get past the skiing area with its funicular. Thanks for visiting the blog and for the comment David. Looks a lovely area. Mist looked like he was ready to stay a bit longer in that hut! 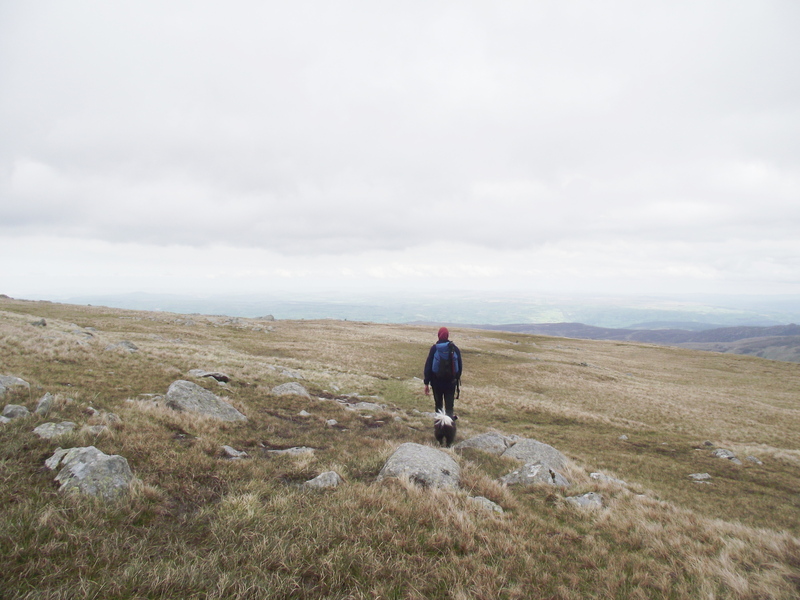 It’s typical Carneddau country, Chrissie – we saw one other couple on a fine-weather weekend. I bet the Glyderau and Snowdon were heaving! 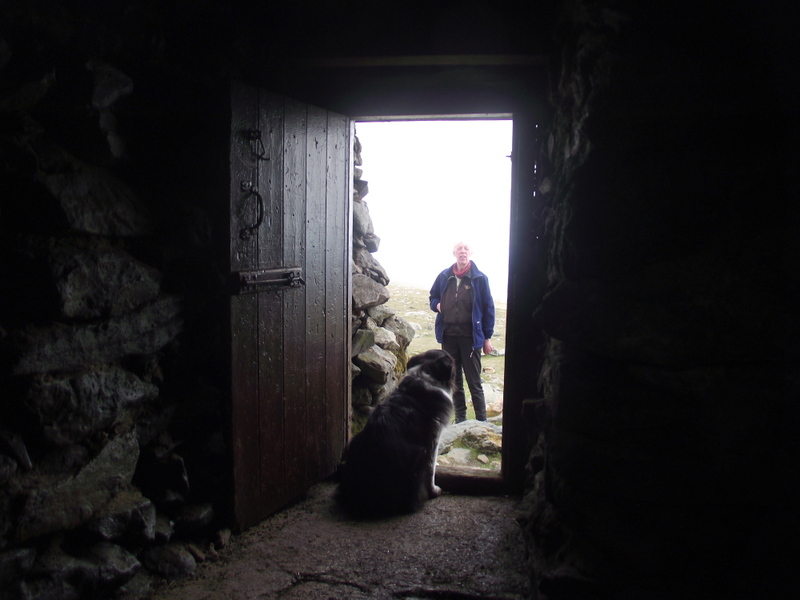 Mist settled down nicely in the hut whilst we had a brew, but she was soon impatient to be off again. 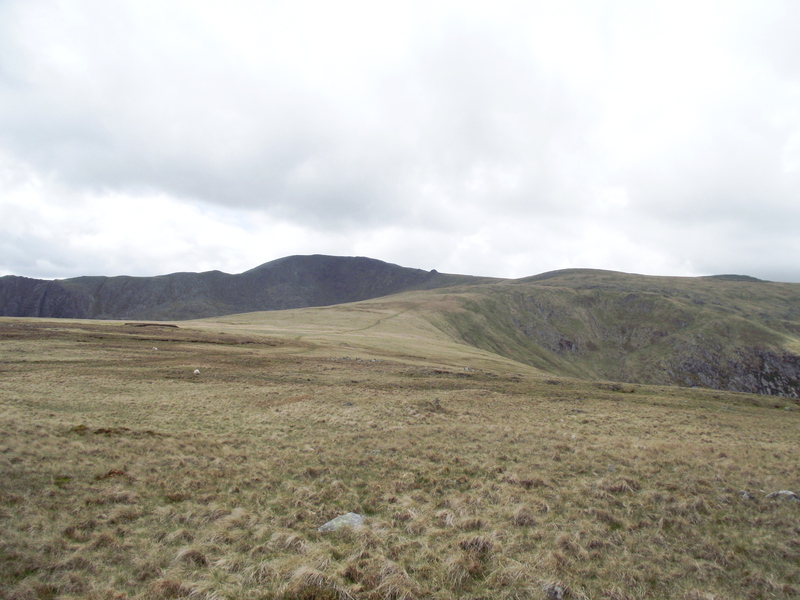 I’ve not ventured north of the main Carneddau ridge, yet. 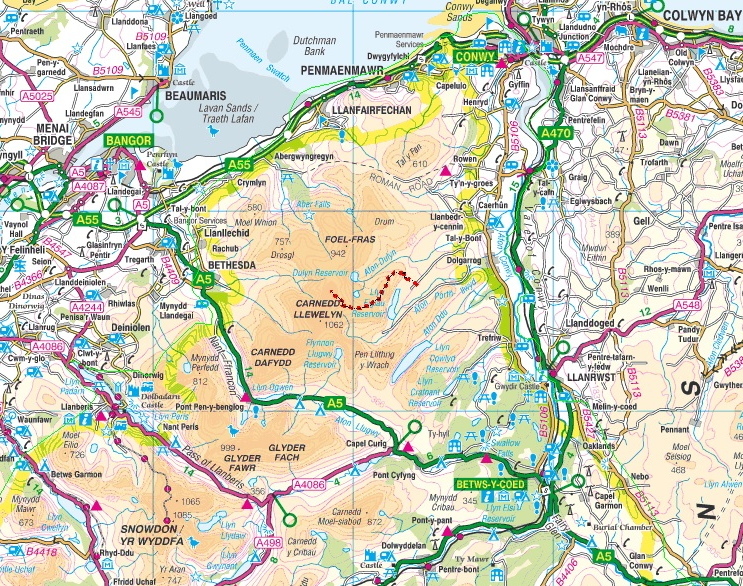 But I have in mind to tackle the range from south to north starting from Ogwen and ending up at the Sychnant pass. 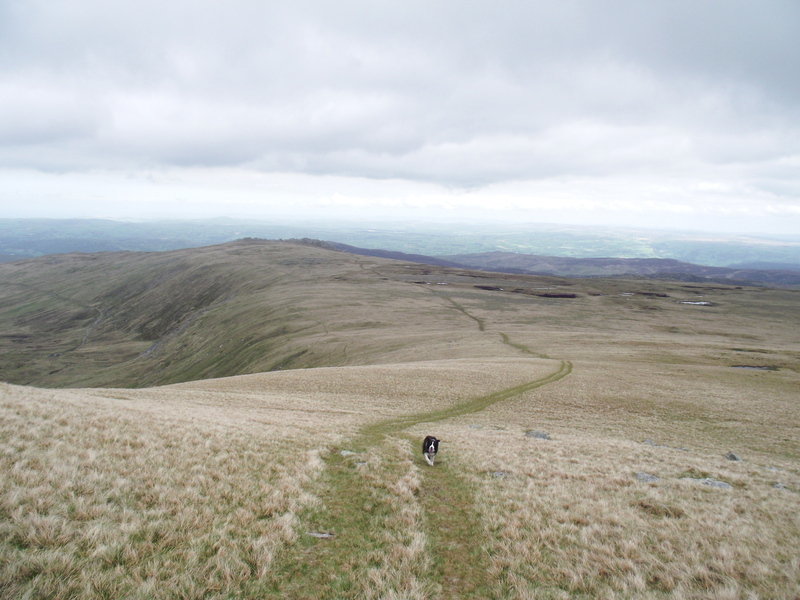 That would take me over Foel Grach at one point. A very long day, I realise, (and probably no mobile phone cover at all I suspect) and then there’s the problem of getting back to the starting point.